We serve our original chocolates made from Japanese and Western ingredients with sense of the season. Enjoy our finest chocolates and café. We serve crepes and café in the day time and alcoholic drinks in the evening. We have also “lunch of the day”.You can have a break sitting on the floor in traditional Japanese style. 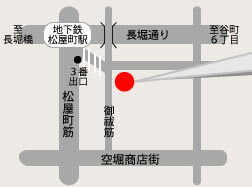 Our shop is located at the center of JR Loop Line. 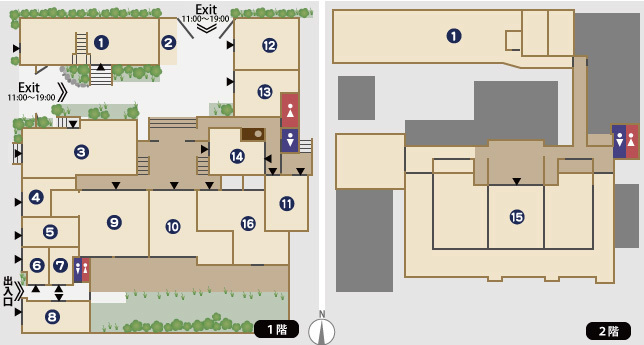 Enjoy cycling to Osaka Castle (2.1km), to Namba (2.2km) or to Doutonbori (1.6km) for sightseeing and shopping. Octopus Dumplings is famous for an Osaka soul food. Enjoy walking around the town with atmosphere tasting our original dumplings with special sauce. Welcome to my cozy salon. For a memory of the trip, try the Japanese style nail polish relaxing yourself with music and the aroma of essential oils. Psychology and Feng Shui tell you the tips and the secrets to be happy and successful in your life. We have used clothing, mainly the 1960s and 70s, and handmade macramé accessories made by the shop owner. Just visit our shop to feel at home and enjoy yourself. We have carefully selected brocante mainly from Europe. Just feel free to pick up and take a look at them. Find your true self relaxing on a chair in the café with a view. It’s always a pleasure if you meet your favorite things with their own stories. We have Gamaguchi, original handmade bags with metal clasp, and carefully selected Knick-Knacks. During the lunch time, we have several set meals at reasonable prices. Just choose from Obanzai, Kyoto-style home cooking, noodles and so on for your main dish. In the evening, we serve more than 50 a la carte menus. We have our atelier in the back of the shop. Check out our leather bags being simple in design and aging beautifully. Try our fine sparkling drinks with large variety of flavors mostly sugar-free and original snacks. We also give a skill sharing platform. Give what you’ve got and get what you need. We help you live in comfort. We do Feng Shui and Fortune-telling. If you need a translator, additional charges may apply. Please feel free to inquire. Try our town-type kimonos to make your day in Osaka. Just 15 minutes for fitting. Overnight rental is also available.